Trowers & Hamlins welcomes you to its London office for an open day. 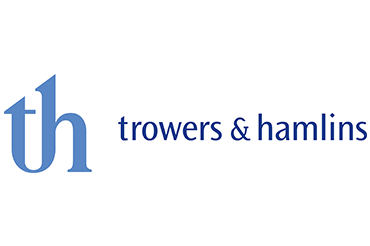 Trowers & Hamlins is an international firm with offices throughout the UK, Middle East and Far East. The origins of the firm date back more than 230 years. During the last 30 years in particular, the firm has expanded considerably to be the large and prestigious firm it is today. Trowers & Hamlins was the first foreign law firm to secure a Qualified Foreign Law Firm (QFLF) licence in Malaysia in April 2015. The firm advises on a broad range of legal and commercial issues in a variety of practice areas, including Banking and Finance, Corporate, Dispute Resolution, Energy and Sustainability, Housing, Private Wealth, Public Sector, Real estate and Telecoms, Media and Technology. 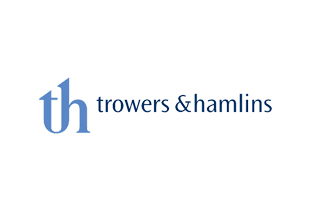 Trowers & Hamlins recruits 23 trainees a year, split between March and September intakes and based at its offices in London, Birmingham, Exeter and Manchester. All trainees work across a range of seats and those in London have the opportunity to spend time in one of our offices in the Middle East. The firm is particularly keen to hear from those on the LPC or who have completed it. This event will be held in the firm’s London office.